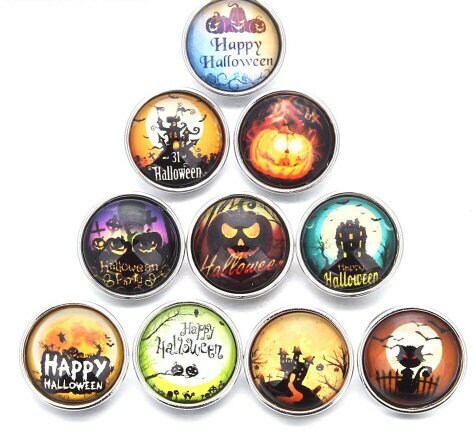 Choose from our collection of Halloween Snaps! These snaps pair with all of our base pieces including pendant, bracelets, earrings and more! 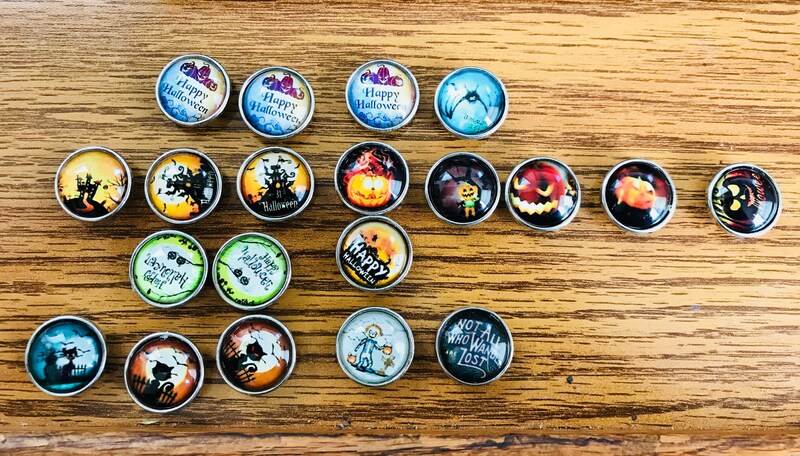 Choose from among a variety of limited supply Halloween snaps! 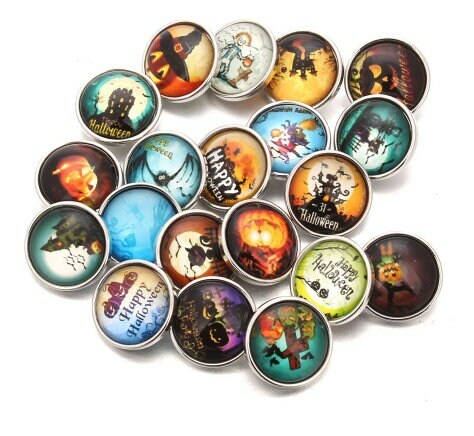 These are glass domed snaps. I can send you a picture to verify your choice of snap! Pick two and make a great pair of earrings!